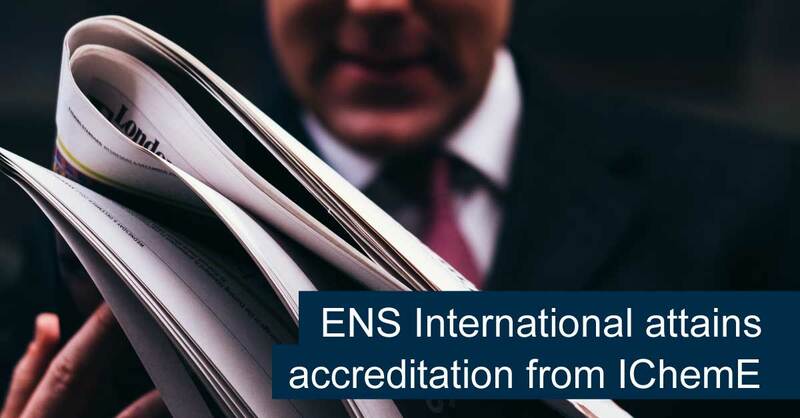 ENS International has received accreditation from the Institution of Chemical Engineers (IChemE), a global professional engineering institution with over 40,000 members in over 120 countries worldwide. "Receiving Accreditation is a significant achievement, one that recognizes and benchmarks your training against the highest international standards and demonstrates the quality of training services.” says Jon Prichard - Executive Director IChemE. Founded in 1922, the Institution of Chemical Engineers – ICHEME is a multi-national institution with primary offices in the UK and Australia. The mission of this organization is to build and support a community and network of professionals involved in all facets of the Chemical Engineering discipline. IChemE’s knowledge of professional standards, close involvement with industry, education and regulators, and our own expertise as a leading global training provider, means we are uniquely positioned to independently assess and accredit training courses and professional development programs across the world. For over 40 years ENSI has been the trusted negotiation partner of many of the world’s most successful organizations. We have partnered with companies and government agencies to develop negotiation capabilities that direct change, re-invent business and significantly accelerate growth. Our first course - ENSI Strategic Negotiation + Influencing (N+I) Course for Chemical Engineers is scheduled for delivery in London, Singapore and Melbourne. Participants will gain effective leadership skills and confidence in resolving complex situations. This course will benefit consultants, supervisors, managers, stakeholders and Senior Chemical Engineers transitioning from technically focused roles into operational or leadership positions. Course dates for Malaysia and South Africa will be released soon. Expressions of interest for alternative locations and dates are welcome, please contact us on jkelly.ens@negotiate.org. Influencing people to think and act differently to achieve greater success. In this era of change, it is evident that negotiation skills are a major part of organizational transformation and business success. Since 1978 ENS International has partnered with companies and government agencies to develop negotiation capabilities that direct change, re-invent business and significantly accelerate growth. ENS International (ENSI) was founded with the belief that when negotiating with the right communication skills, people and organizations could make the world a better place. Our internationally acclaimed negotiation and influencing frameworks, techniques and tools incorporate commercial psychology with a deep understanding of human behaviour in an interactive learning environment designed for long-term success. Our frameworks are applicable across all industries and cultures. They are scalable and can be used for any situation, from small interactions to high risk, high stakes deals. Our approach is collaborative and results in long-term relationship development, concentrating on commonalities rather than differences. By participating in ENSI training you will gain the ability to formulate and successfully execute your negotiation and influencing goals. You will be prompted to identify aspirational objectives and develop a comprehensive strategy. 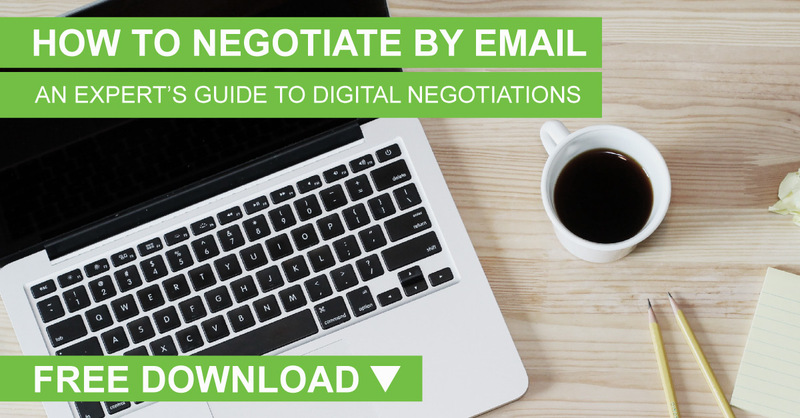 We turn the ‘art’ of negotiation into a science – giving you the advantage. Our negotiation frameworks, tools and techniques are applied by over 60 Practitioners in 11 languages across 75 countries around the world. Our Practitioners, are highly trained with wide ranging professional and commercial backgrounds to help you get the outcome you want. Everybody negotiates every day. Knowing how to systematically plan and develop effective strategies, and efficiently manage their application, will turn negotiations in your favour and maximize outcomes. Starting with the Professional Negotiation Module 1, the pathway is structured so that each module builds upon the foundations of the previous one. The Program will take you through the Advanced Negotiation and Strategic Negotiation Module 2 before joining the world’s elite negotiation echelons with the Expert Negotiation Module 3. Each stand-alone step on the pathway will introduce you to new concepts and provide you with the opportunity to practice new behaviour changing ideas in an environment where you are coached by our expert Practitioners. The pathway is then completed by the Refresher Module to embed your learning achievements and behavioural changes for life-long success. Our highly effective strategic negotiation process advice is valuable for significant negotiation projects, with key individuals or negotiation teams. Our trusted advisors provide consulting and mentoring at any stage of a negotiation. Gain the competitive advantage in any situation. We provide advice for: negotiation process, strengthening your negotiation position, strategy formulation, independent perspective and executive coaching. All ENSI Negotiation & Influencing Courses are independently accredited by the CPD Standards Office. The CPD Standards accreditation operates internationally and meets the CPD requirements and expectations for all professional bodies, regulators and membership organisations across the globe. Participants receive 7 CPD hours for each training day. 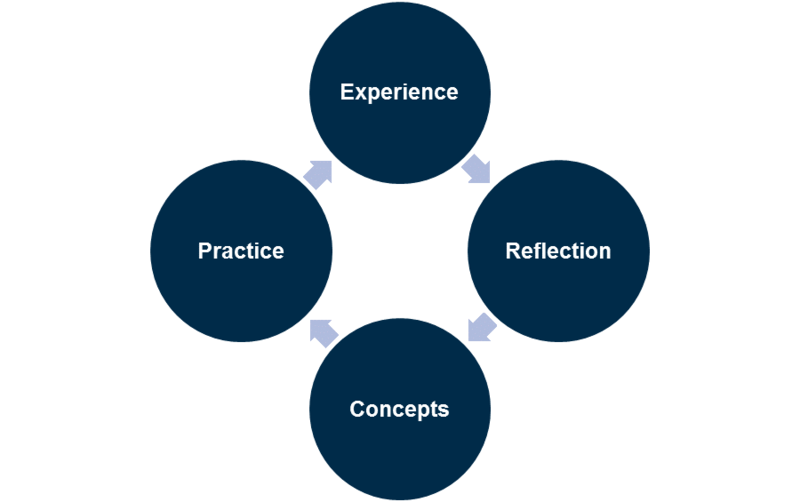 Kolb’s Experiential Learning Styles underpin ENSI’s approach to training. We all have different learning styles, so we employ a range of techniques to ensure you get the most out of your course. Our workshops apply Kolb’s 4 distinct learning styles.